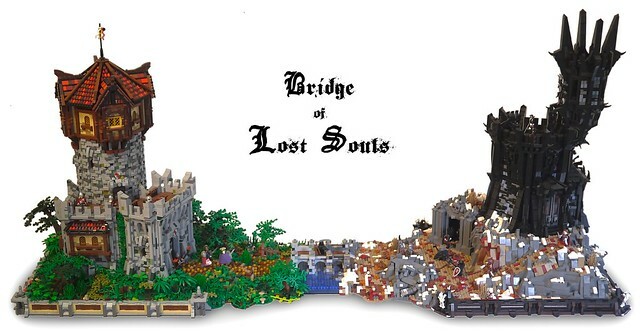 Built for Brickvention in Australia last year, Nick Runia is offering up the final photos of his Bridge of Lost Souls creation. So, he's got the Light on the left side, Dark on the right, and of course the bridge with Death in the middle. Peruse his photostream to appreciate the architectural intricacy and organic flow of the rock work and landscaping. Nicely done, Nick!